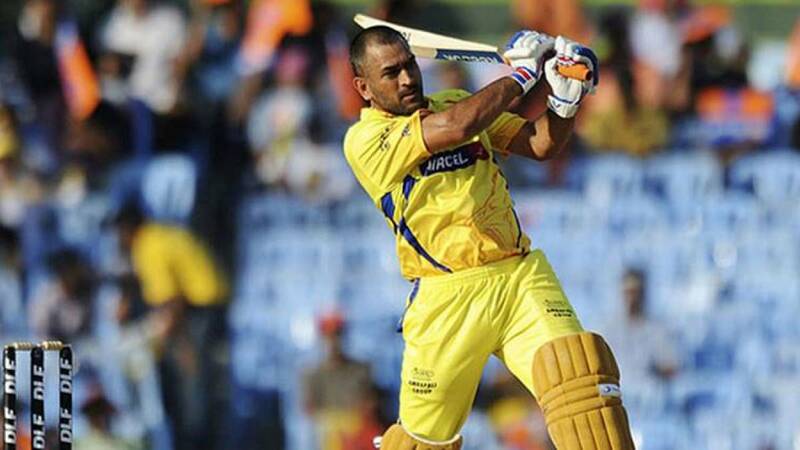 New Delhi : Former India skipper Mahendra Singh Dhoni will once again be seen in his favourite yellow jersey in the Indian Premier League's (IPL) 2018 season as the Chennai Super Kings retained the Ranchi stumper along with Suresh Raina and all-rounder Ravindra Jadeja. Dhoni has been retained for Rs 15 crore while Raina and Jadeja were kept for Rs 11 crore and Rs 7 crore, respectively. The CSK franchise, back into the IPL fold after serving a two-year ban, has two Right-to-Match options left, which they can use during the IPL auction on January 27 and 28. Rajasthan Royals, the other franchise to return after a two-year ban, has retained Australia skipper Steve Smith (Rs 12 crore) and surprisingly pushed the likes of star batsman Ajinkya Rahane back into the auction pool. The other surprise came in the form of Gautam Gambhir, who was sent into the auction pool despite guiding the Kolkata Knight Riders (KKR) to lifting the silverware twice (2012 and 2014). The Shah Rukh Khan-co-owned franchise retained the West Indian duo of Sunil Narine (Rs 8.5 crore) and Andre Russell (Rs 7 crore). Similarly, Royal Challengers Bangalore (RCB) released West Indian power-hitter Chris Gayle while retaining India skipper Virat Kohli (Rs 17 crore), South African AB de Villiers (Rs 11 crore) and young Sarfraz Khan (Rs 1.75 crore). Delhi Daredevils expectedly retained the young Indian duo of Rishabh Pant (Rs 8 crore) and Shreyas Iyer (Rs 7 crore) along with South African all-rounder Chris Morris (Rs 7.1 crore). Mumbai Indians also went along expected lines retaining their three-time IPL winning skipper Rohit Sharma (Rs 15 crore) along with all-rounder Hardik Pandya (Rs 11 crore) and death-overs bowling specialist Jasprit Bumrah (Rs 7 crore). Rohit guided the Mumbai franchise to IPL titles in 2013, 2015 and 2017. Sunrisers Hyderabad also sprang a surprise by releasing India opener Shikhar Dhawan and Afghanistan spin sensation Rashid Khan but retained Australian David Warner (Rs 12 crore) along with pacer Bhuvneshwar Kumar (Rs 8 crore). After another dismal 2017 season, Kings XI Punjab retained just left-arm spinner Axar Patel (Rs 6.75 crore) for the next season.